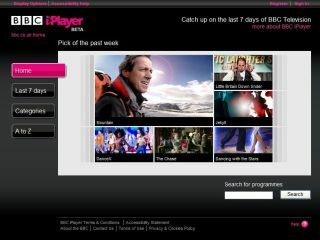 The BBC iPlayer has been awarded the prestigious Judges' Awards at this year's Innovation awards, hosted by the Royal Television Society. The online media platform has been a runaway success since it launched on Christmas day 2007 and this accolade shows just how far the service has come in changing people's perspectives of web-based TV. Speaking about the win, Jeff Henry, Chair of RTS Innovation Awards, said: "[The impact of the iPlayer] was certainly both immediate and profound. After a number of trials and delays and even criticism that no finished product had been released after four years, it finally had arrived. But wow, was it worth waiting for!" "The roll of honour of great British innovation now has a proud new addition. For all the hardwork, commitment and belief shown by the BBC and its staff (with particular recognition of Anthony Rose's contribution), the RTS Innovation Awards proudly presents the Judges Award to the BBC iPlayer, proving that it is not just a gift for Christmas, but for life." Sky News was also a winner of at the RTS' Innovation awards ceremony, winning the On The Move Award for its iPhone app.